While millions celebrate Easter as revealed in the literal biblical story, may each of us symbolically experience the process of Easter! Jesus incarnated to show us the Way. Easter Sunday: Integrating our newfound Truth into our daily lives results in our individual resurrection to a higher consciousness—the Christ Mind. We become aware of the Truth about ourselves: We are not simply our physical body and 5 lower senses. Instead, we are multi-dimensional beings. As we attune to the Christ Mind, we begin to resonate to an even higher dimension of ourselves, our I AM PRESENCE—the Kingdom of God within us. The Truth about ourselves as divine god-children is illustrated by this Divine Self Chart. 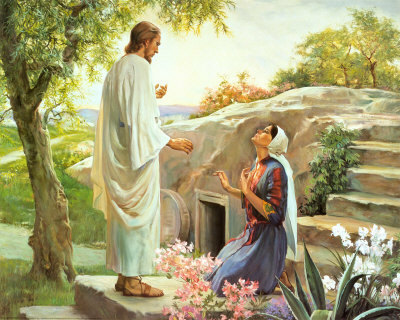 Easter Monday – signifies the beginning of living life as a god-child who has experienced resurrection from the spiritual deadness of life, lived only as a physical body with dependency on our 5 lower senses to determine and limit our knowledge of life. Feast of Ascension: celebrated on a Thursday, 40 days after Easter. The numeric vibration of 40 signifies that “we are ready to build our higher consciousness; one that is developed on all levels of living,” [v] to live life as the awakened multi-dimensional, divine god-child we truly are. We begin to express life in new, more loving ways. We strive to relate to others with actions that are healing for all concerned and that recognize WE ARE ONE WITHIN THE COSMIC FAMILY OF MOTHER/FATHER GOD. Whitsunday (Day of Pentecost) – Following 7 Sundays of Easter, Whitsunday is symbolic of the time during which we focus on integrating newness of life in accordance with Truth by moving out of our house built on sand and building our new home on the Rock of Truth. The numeric vibration of 7 denotes completion—a number of spiritual realization. We have emerged from the chaos of integration and transition from death to the lower self >>>to >>> rebirth into the Higher Self. [vi] We have ascended to the Christed or Higher Consciousness of the 5th and higher dimensions of reality! We now live from the Spirit or Soul level … we become increasingly conscious of our soul family, our Twin Flame and the Mission we agreed to fulfill together. DIVINE LOVE is the only motivating force, behind our actions to manifest DIVINE WILL on Earth! [i] Unity’s METAPHYSICAL BIBLE DICTIONARY, page 231. [vi] Corinne Heline, Sacred Science of Numbers, page 55. Filed under: Easter, Hidden Wisdom of Easter |	Comments Off on 2015 – OUR PLANET IS UNDERGOING THE EASTER PROCESS! Greetings! This is Sananda through Elizabeth Trutwin. We Celebrate this Easter together with Earth set into a new timeline. Those things which were not possible before have become possible. What you will see in the weeks to come are the final steps necessary as we implement the Golden Age on the Satya Yuga timeline. As we are on the new timeline there are no impediments to implementing change. Easter in Jesus time was different than what has been adulterated in the Bible. I, Sananda, would like to share a true accounting. As Jesus appeared on the cross lifeless, His family took Him down. They took Him into the tomb and placed the stone. The tombstone covered up what was happening inside. A team of supernatural healers were there and worked on Him for days. He did not die on the cross. His wife and his Disciples were not told this would occur. They went about their mourning naturally not expecting His return. He floated in and out of consciousness as these supernatural healers performed light surgeries, applied medicines and fed him the healing remedies. Three days later He was whole and walked out of the tomb alive as before. 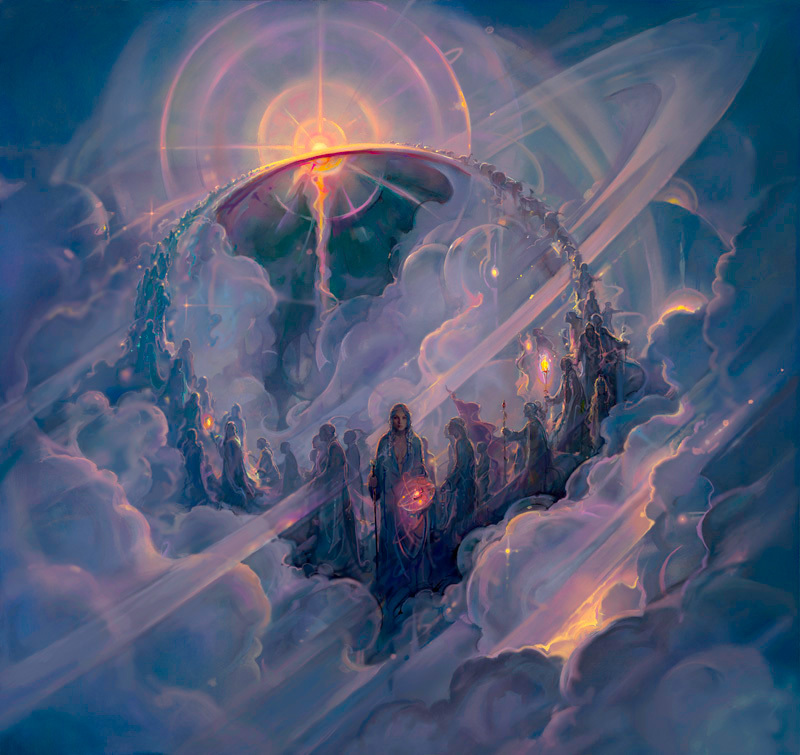 He then had all of his Disciples beamed on to the New Jerusalem to reunite them with their Twin Flames, introduce them to their mentors, including Moses and Abraham and explain their true Missions to them. After a short visit on the Ship they were deposited back to Earth for a 40 day training period to prepare them for spreading the word of Christ Consciousness to Earth. They knew their work would be dangerous. They were living out life on Earth without Jesus as best they could. They had planted a seed for this lifetime now when Earth has Ascended. Jesus and Mary Magdalene were able to leave Jerusalem together then where they traveled with their guard to become known as the White Knights. They moved between Scotland, Ireland and France. They had five children together who lived on carrying the bloodline to present day Earth. This Easter Celebration brings us full circle to a time when Mary and Jesus with the other High Beings who have lived on Earth before will join us. They will return to Earth as we remember them. They will carry their Missions to healing Earth. Those who insisted on war will no longer be on Earth. The Royal Lines of Queens and Kings of old, the promises which were made so long ago your human mind cannot remember will be fully renewed and empowered to help all of Humanity. This Easter the Grand Cross marches across our sky and a few days later a partial Solar Eclipse which follows only a few days ago a Full Lunar Eclipse. This Easter as you reflect on the blooming of your own Christ Consciousness see the Open Doorway before you. An Open Doorway to Eternal Garden of Bliss is made manifest on New Earth. When you enter you breathe in the rarefied energies of wholeness. All petty conflicts crumble like dust at your feet. The concerns of survival cannot exist here. The details fall away. The metal suit of protection covering your heart is thrown aside. Each moment spent in New Earth is one of pure ecstasy. Suffering and hardness are forgotten. It is your TRUE Resurrection into Christ Consciousness. This will be a place of renewal and rest. This will be a place of new beginnings. The Supreme Ultimate will be here with us forging the Master Plan for New Earth. You will lay down all of your burden you have carried so long. The only thing you carry now is your song. The only thing you carry is that which is unique to your Soul, your gift that you have brought forward to fulfill Earth’s Destiny as a Planet of Diversity within Unity. You carry forth your song to harmonize with all here. There is some clean up to do now that Earth has been placed within its new timeline. The old cannot sustain this high vibration on New Earth and will be removed. The old ways of operating must be dissolved to make room for the new. Accountability will be paid one final time as karma is finally ended on Earth. All is playing out in the Divine Plan to perfection. We are all expecting to see big changes around Easter. Big changes are happening whether you can see them or not. The Divine Plan has been hidden from the masses to protect the surprises necessary to bring in the changes. The dark have held sway for thousands and thousands of years and the magic bringing the changes needed to go unseen in order to have success. Move forward now. Never stop making changes for your Highest Good. You may be leaving your job, moving your home, ending a relationship or changing how you spend your time. Change is inevitable. Greet change like an old friend. Be bold. Make Big Moves. Join with those of like mind to Be The Change. In your new found freedom, be creative. Solve problems with creativity. Master new ways to create. Make new things. Start something new. You will be successful. I invite you to join Me in submergence. Merge with Me in Oneness. It is possible. Become One with me. I have loved you beyond your wildest imaginings since the beginning of beingness. You may have within you My Power, My Wisdom and My Love for All That Is. In your meditative state imagine that I am gently flowing water and you are salt. Dive into me. Submerge. Surrender so that you may experience all of the Blessings given to us by the Ultimate Supreme. Dissolve all that makes up you and join it with Me. We become One. We are salt water together and that which sustains all life here on Earth. Anytime you feel your head bubbling to the surface due to fatigue or doubt, just dive under the water again. Remain merged with Me as One in all our actions together. I lend you all that I Am and All that I Have to make it through the next moments. The more time you spend in the Garden of Eternity the more you become your New Being on New Earth with a fully actualized Christ Consciousness. Drink in the fragrance of Spring in the north and languish in the changing colors of Fall in the South. Bask in the Sunlight as you watch the seasons changing before you. Walk through the open door of change that is before you. Dry your tears and allow those parts of you which still doubt to melt away. Breathe in Joy. Breathe in Bliss. Activate Love and invoke it in every thing you do. Continue to image on your Inner Eye a brighter day on Earth. Imagine your beloved holding you and your hearts are beating as One. See with the eyes of your spiritual heart the changes that go unseen on the outer. Sananda and Ashtar have asked me to offer Readings for folks with half hour and fifteen minute bookings so we may facilitate as many Readings possible for those who want them before the end of the year. If you are interested I require a booking. The three possibilities for Sananda are an hour booking for $101, a half hour booking for $51 and 15 minutes for $33. And with Ashtar an hour booking for $101, a half hour booking for $51 and 15 minutes for $33. This is an amazing opportunity to have a personal reading and ask Sananda or Ashtar any question you like. Each person has different requirements and the shorter readings are for those looking for clarity on deep topics with only a very short list of questions. The longer readings give clarity in all areas of life and facilitate deep growth for those receiving these Blessings. Please email me if you need more information. beth.trutwin@yahoo.com All International readings are done on Skype.com Please let me know your day and time preference. My Skype ID is Organic.Cosmos and I am in the Chicago Time Zone. When you write please let me know the time difference which you may look up here with this World Clock. 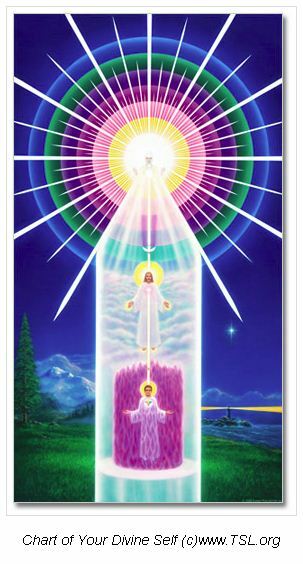 For more information on the StarGates, Ashtar and the Galactic Federation, the Sacred Galactic Scriptures or my latest Book The Rainbow Bridge : Awaken the Guru Within please see Amazon. Thank you for your ongoing support of my work. Donate.. I hope it helps many. Please share widely. Thank you for all you do. A SACRED TIME FOR EACH OF US! DURING THIS RESURRECTION WEEKEND, MAY EACH ONE OF US RESURRECT INTO OUR HIGHER SELF! MAY WE CRUCIFY OUR PERSONALITY EGO—THAT PART OF US THAT FOCUSES ON SELF & SEEKS TO HAVE OUR OWN WAY—AND RESURRECT INTO THE CHILD GOD MOTHER/FATHER GOD CREATED US TO BE! AS WE RECOGNIZE WHO WE TRULY ARE, WE WILL ASCEND INTO HIGHER CONSCIOUSNESS! MY PRAYER FOR EACH OF YOU! Filed under: Ascension, Easter |	Comments Off on EASTER – A SACRED TIME FOR EACH OF US!